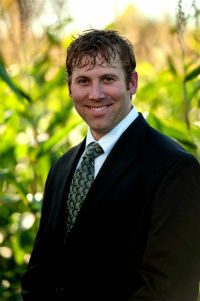 Jim Dumdei joined Corn Capital Innovations in 2011 as their Director of Production and Quality Assurance. He directs all of the company’s seed production, distribution, and quality assurance programs. Jim is charged with ensuring that only the highest quality, purest seed gets to CCI’s customers as fast and efficiently as possible. He understands that his job involves one more important step in helping our growers maximize profits and achieve their long term yield goals. Jim was raised on a family grain production farm near Belview, Minnesota. After receiving his Associate in Applied Science degree in Mechanical Engineering from Alexandria Technical College, he joined Watkins Aircraft Support Products in Glenwood, Minnesota. At Watkins, he explored the development and application of a wide-range of new, unique, aeronautical tools and technologies. Two years later he joined Katolight Corporation as a Mechanical/Electrical Engineer where he designed and tested new electronic systems to streamline manufacturing and business processes. In 2003, Jim was recruited by Monsanto as their Safety and ISO Compliance Officer in Redwood Falls, Minnesota. His role was to develop and train employees on Foundation Seed Production protocols to ensure the highest quality seed went into the bag, while following strict safety procedures. Jim is a member of the Belview Fire Department. He enjoys fishing, hunting, and spending time outdoors. He lives near Belview, Minnesota on a small farm.